When a woman says '5 minutes and I'll be ready.' Do you actually believe it? It takes forever for a woman to get ready. Deal with it. I love makeup. I can't live a day without makeup. I love to look pretty but it's such a hassle as my daily makeup routine takes a long time. After my skincare routine, I usually apply a primer/base before I start applying any makeup on my face. 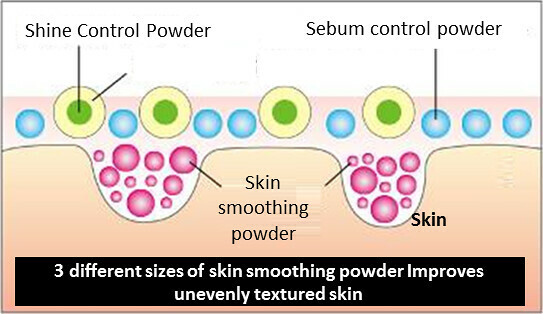 Thanks to Kiss Me Heavy Rotation Pore Smooth Base, my makeup routine became faster and easier. Here are the comparison between these two colors. Step 1 - After cleansing and conditioning skin, take an appropriate amount onto palm and apply it on the entire face. Step 2 - Place small amount on the forehead, cheeks, nose and chin, and lightly spread in the direction of the arrows. 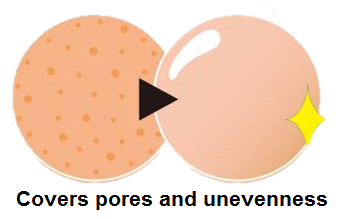 Step 3 - Gently pat on the areas around your pores and other areas you want to cover. But a girl like me would never settle for less. I like to contour my face for a more define look, not forgetting my eyes and lips to complete my look. 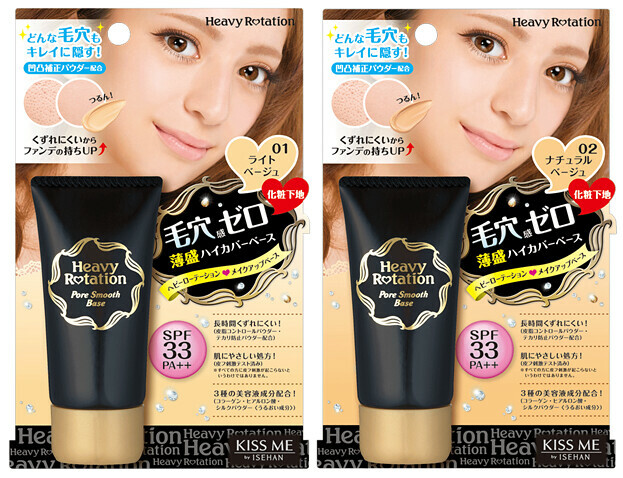 Kiss Me Heavy Rotation Pore Smooth Base is available at selected Sasa and Watsons outlets for RM 39.90.